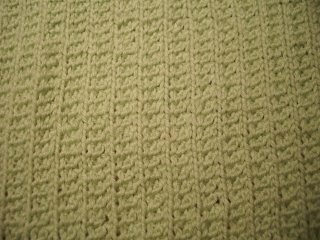 Gail's Good Yarn: Another square!! 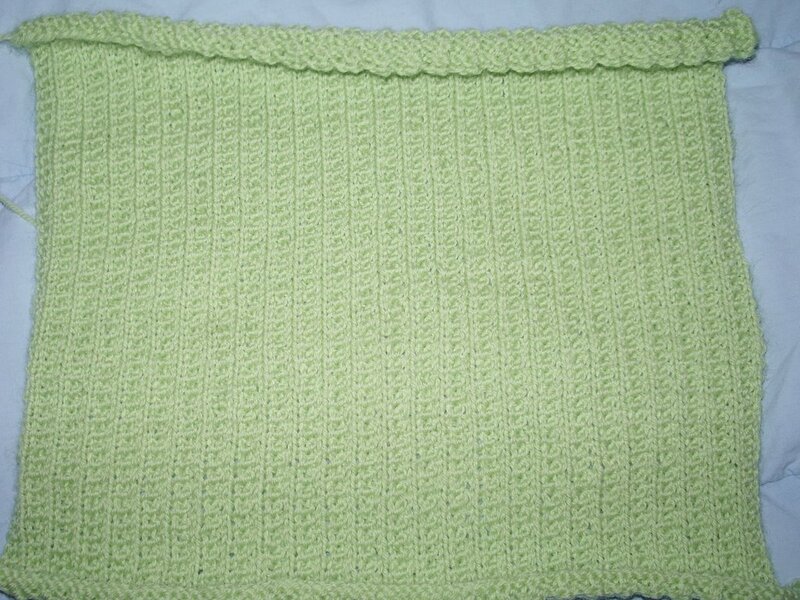 The Second Square in the WTBCLB (wrap that baby in a community of love blanket) has been completed by Carol. 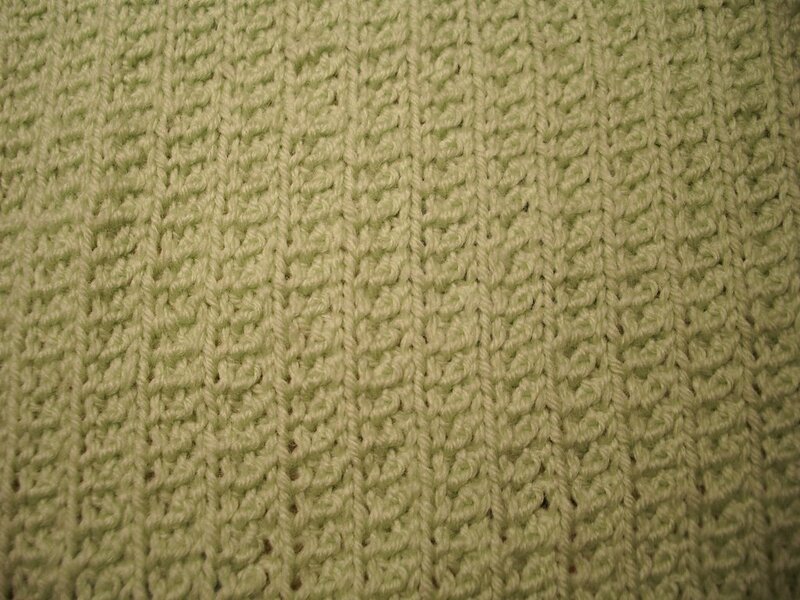 The color of the photos is not terribly good; the square is a very lovely pale green in real life! 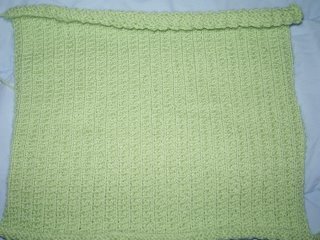 The stitch is Supple Rib from June 23 on the "365 Knitting Stitches a Year Calendar!! I can already see the baby kicking up a storm, wrapped in the "loving blanket." Meanwhile, I have been feverishly working on my last paper, due tomorrow. I also need to study for my 7:45 a.m. Spanish 203 exam tomorrow!! Arghhhhhhh!!! Oh, I can't wait until I can knit in peace... But first, I need to clean the house, go grocery shopping, etc. Hi ##NAME##, very unique blog you have! I was looking for how to knit realted information and came across your site. Very good info, I'm definitely going to bookmark you! I have a how to knit site. You can find everything about knitting stitches, needles, magazines, machines and more. Please visit and enjoy! Proof that Christmas IS Coming!